Forest Garden 6 x 10 Overlap Dip Treated Apex Shed: This Forest Garden shed features a traditional style apex roof that has a central ridge with a slope going down either side, this design of shed can go next to a house or fence or alternatively will look superb as a standalone building in the garden. This shed has been factory dip treated and requires the overlap panels which are rough sawn to be regularly treated with a timber preservative to give the shed a long lasting finish. This shed has an OSB sheet material roof and floor for durability and the windows are polycarbonate to prevent them from breaking or going brittle over time. 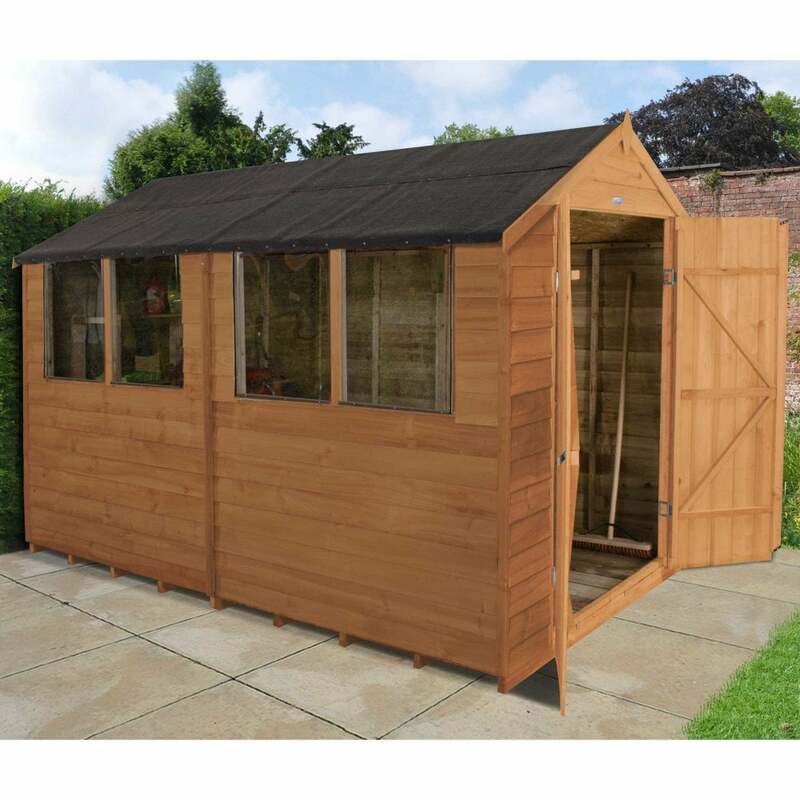 This garden shed has a double door with z framing for stability and 4 windows to the side which can be built to go either down the left or the right of the shed to suit your needs. This shed is made from FSC certified timber which has been sustainably sourced and is delivered in easy to manage sections for easy self-assembly.